Indulge me. One of my Reformation heroes is a Swedish King, Johan III (1537-92; reigned 1568-92). Why? Because of his liturgical interests. He authored, with the help of his secretary Petrus Fecht (a student of Melancthon’s), a Liturgy that included offertory prayers and a full Eucharistic prayer, elements long considered not acceptable in a Lutheran liturgy. Lutherans were debating these things in the mid-1970s as the Inter-Lutheran Commission of Worship was doing the work that would lead to Lutheran Book of Worship (1978). I was a doctoral student in liturgical studies at the University of Notre Dame and after discovering this king’s liturgy in the Notre Dame library I knew I needed to find out more about it. Who was this king? Where was Sweden theologically at the time of his reign in its journey into Lutheranism? Could this liturgy have a place among Lutheran liturgical orders? Johan was the second son of King Gustaf I Vasa (reigned 1523-60), who had won a war of independence from Denmark and broken ties with the papacy. Johan wasn’t expected to succeed his father to the throne. That honor went to his older brother Erik XIV (reigned 1560-68). Erik was a fair-haired boy who dispatched his second brother Johan to England to try to win for Erik the hand of the Protestant Elizabeth I (who had just succeeded her sister, the Catholic Mary Tudor). Johan was a learned humanist who seemed to have an interest in patristics and liturgy. He was present in England when the Book of Common Prayer was restored by a Parliamentary Act of Uniformity. Of course, Elizabeth rejected every hand offered to her with a marriage proposal, including Erik’s. Perhaps to keep Johan out of his older brother’s way, Gustav Vasa had made him Duke of Finland. Once Erik came to the throne Johan began carving out a sphere of influence on the eastern side of the Baltic, including marrying Katarina Jagellonica, the sister of King Sigismund II Augustus of Poland. On a visit to Stockholm, Erik apprehended Johan and Katarina and had them incarcerated in the Gripsholm Castle. Erik was showing signs of dangerous paranoia and insanity, so the Swedish nobility deposed him and swapped the royal brothers. Erik was made a “guest” in the Gripsholm (it’s believed that he was later poisoned, although by who remains a detective story) and Johan was placed on the throne. In terms of geopolitics, Johan had nearly turned the Baltic into a Swedish lake long before his grandnephew Gustaf II Adolf came to the throne. He had bastions in Livonia (modern Estonia and Latvia), and kept the Russians in check. His son Sigismund was the heir apparent to the Polish throne. But the deal was that he had to be raised as a Roman Catholic. Queen Katarina was also a Catholic and had Catholic chaplains at the court. Her father was the fabulously rich Bona Sforza, but her inheritance was frozen in Naples. Johan dispatched emissaries to Rome to enlist the pope’s intervention in releasing the funds. Did he think that pursuing a more “high church” direction in the autonomous Church of Sweden (which was not yet officially Lutheran)—and allowing secret Jesuits like Laurentius Norvegus to teach in the Royal Theological College Johan set up in Stockholm to counter the gnesio-Lutheran influence of the theological faculty at Uppsala—would serve his cause? Sometimes it’s difficult to sort out our own commitments from what seems politically useful. The pope began to see some possibility of reclaiming Sweden to the Roman Church and dispatched the former Jesuit Secretary-General Cardinal Antonio Possevino to negotiate with King Johan. Johan laid down some conditions which Possevino took back to Rome. In the meantime, the king was told he could listen to Lutheran sermons if he had to but he was not to receive communion at Lutheran altars. Possevino returned in 1579 with bad news. The Roman Curia would not accept Johan’s three minimal conditions: communion in both kinds for the laity, the mass in Swedish, and the marriage of priests. They would only consider Johan’s request that the tomb of his father, Gustaf Vasa, in Uppsala Cathedral not be violated. 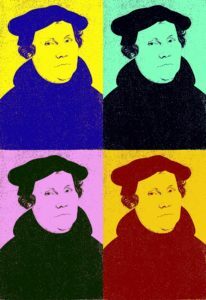 They also insisted that Johan should not attend Lutheran worship—which was, of course, the liturgy he had designed from ancient, medieval, and Reformation sources. For Johan, this was the last blow. He told Possevino that the deal was off. Possevino then overplayed his hand by blowing the whistle on the secret Jesuit teachers in Stockholm. A riot broke out and Johan sent Possevino and the Jesuits packing. He also returned to receiving communion at Lutheran altars. Pope Gregory XIII responded by saying he would reconsider Johan’s three minimal conditions if France and Spain would go along with them. But it was too little too late. The so-called Red Book Liturgy (Den röde Boken), so-called because of the color of its binding, continued to be used in the Church of Sweden. Johan even sent a copy of it, translated into Greek, to Patriarch Jeremiah II of Constantinople, although nothing came of this initiative. 1583 was the high point of Johan’s church policy when newly-elected bishops agreed to wear cope and mitre, carry the crozier, and submit to anointing at their consecration. Unfortunately, it was also the year when his beloved Queen Katarina died. Their son Sigismund III Vasa was secure on the throne of Poland and destined to become King of Sweden as well upon Johan’s death. Johan III married a Swedish Lutheran girl and spent the rest of his reign in relative peace and good will among the people, except for the anti-liturgists who continued to disavow this liturgy which they considered part of a Jesuit plot. But although a few anti-liturgists lost their livings, no one in Sweden lost their lives over liturgical or theological issues. The Liturgy did not survive Johan III’s reign. In anticipation of the Catholic King Sigismund coming to claim his throne and bringing the forces of the counter-Reformation with him, a synod of the national Church of Sweden was convened in Uppsala in 1593 that adopted the Augsburg Confession and restored the Church Order of Archbishop Lars. What happened next when Sigismund arrived with Polish troops is another exciting story. All this and much more is what I got into when I discovered a strange Liturgy in the stacks of the Notre Dame library. And do you know what? Lutherans in Sweden wouldn’t think the Liturgy of King Johan III is so strange today. And the pope himself went to Sweden and signed an agreement to work toward communion between Lutheran and Roman Catholic Churches. I think Johan III would have approved. Liturgically and ecumenically he was four centuries ahead of his time. ^For a full analysis of this liturgy, see my book Christian Liturgy—Catholic and Evangelical (Minneapolis: Fortress, 1997), pp. 427-47.